What is the name of this map? 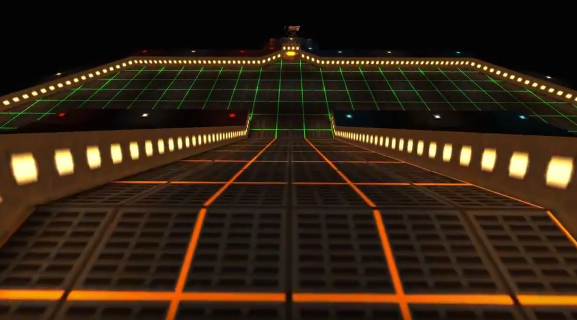 ACMECTF > Quake > Quake 2 Map Room (Moderator: alka) > Topic: What is the name of this map? Quake 2 doesn't play itself! Hi all I am reaching out for your help for the file name of this map. It's a CTF style arena with sponsors and even a working scoreboard. Between the scoreboard and the sponsorship, I believe that it was released with one of the expansion disks. I played this with Josh Waggz one of the OG Lasermine / L-fire / Railwarz server admins. I just can't remember the name and finding it in our collection of almost 11 thousand maps its like a needle in a haystack! If you follow the link I have set up an album with many screenshots that I took from a YouTube video, from way back in 1999, that featured this map. Re: What is the name of this map? How can you not rememba!?!? You're not allowed to forget, as the holder of the sacred candle of Quake 2 knowledge. That's an eternal flame! And no Yowza I do NOT mean the Bangles song, which I do like. Jwaggz I remember you put this on when we were all on the LAN: I think it was on your computer. I kind of remember that the file name as already in use on my computer: I had to delete a different map to make room for this one. 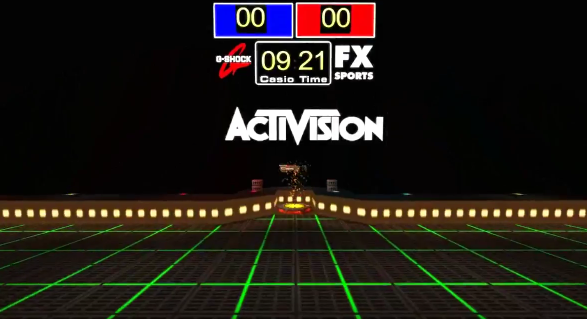 I want to say the file name was something like "1v1arena" or had some combination of 1v1, 1on1, arena, or an abbreviation for Activision, in the title. Even with all I have said in the post already, please don't feel any pressure to go diving down the rabbit hole for it. I have got to have the file on my computer as well. It may come down to me going through map folder on that computer while looking at the file sizes of the maps in the same folder on another computer. When I find the name that matches what I kind of remember, but the file size is different, I will make a copy of that map. Then I will check all those. That's my game plan: I will for sure let you know what happens. O K I have meditated (read: smoked weed) and thought about this more. Jwaggz I think you had us all put QPong on our machines, and I remember playing it at the LAN. Do you remember loading any other mods? Did you guys play Red Rover?! I feel like I was still setting up computer and I remember Jwaggz and Target jokingly saying, "Red rover, red rover, rusty something something come over?" Am I having a false memory because it rhymes??? Join this Mega Quake Discord! Join us in the #L-Fire CTF #LMCTF #railwarz and #expertctf channels! The clearest memory I have of where this file is, is that its hidden in another file or masked by having a duplicate name as another file. Don't get me wrong I WOULD love to have the files I think its gonna be inside of another one though.